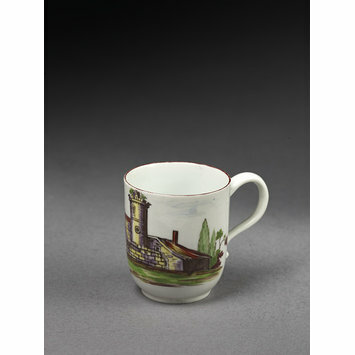 Coffee cup of soft-paste porcelain painted with enamels and decorated with a landscape in which are ruined buildings, and edged with brown. Part of a set with 414:126/ to B-1885 (Sch. I 109 to B). 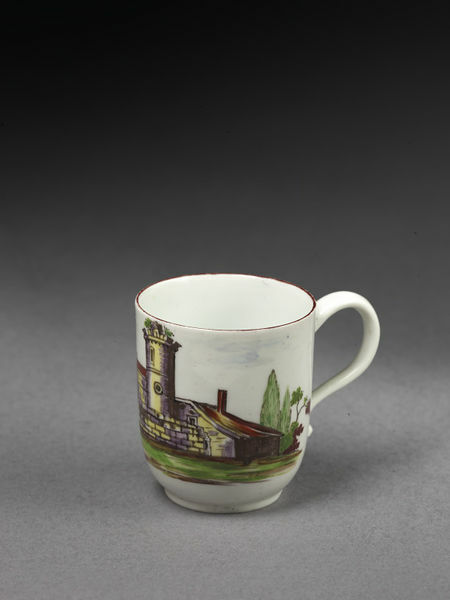 Coffee cup of soft-paste porcelain painted with enamels and edged with brown, probably painted by J. Hayfield, made by Longton Hall porcelain factory, Longton, 1755-1758.